Although Ducati has said it will reward Dovizioso at the same time considering the reduction of Jorge Lorenzo's salary if both want to sign a new contract but it seems the negotiations have not progressed, especially wages. Currently Lorenzo is getting Ducati about 12 million euros a year, this figure of Dovizioso is only 2 million. "Dovi wants to be recognized for value. He will not accept the reason as budget is limited and paid mostly to his teammates. " In the case of Dovizioso returning to Honda, he will be teammate of rival Marc Marquez, who extended until 2020. Dovizioso is no stranger to the Honda RC because he has been racing for this team since 2009-2011. And Suzuki seems to be getting better after an unsuccessful year. At the race, Alex Rins was able to keep up with the top until he fell. 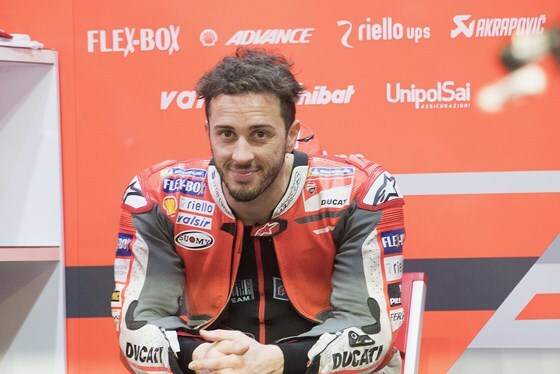 According to the representative, staying in Ducati is still the priority of driver number 04.